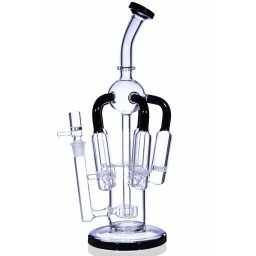 Luigi’s Mushroom Recycler - 18” Showerhead Perc with Matrix Perc and Honeycomb Perc Combination -The Greatest Online Smoke Shop! 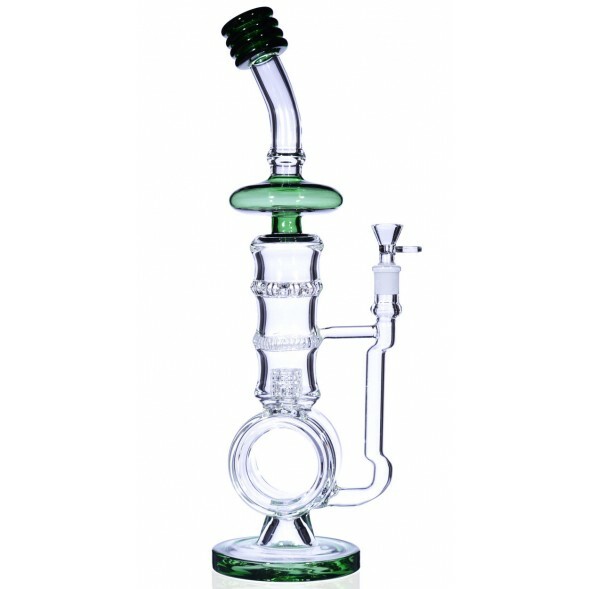 Elaborate recycler structure with multiple percolators and blown-in features. Has an awesome Mushroom-like ice catcher on the neck. Includes a sweet splash guard blown with little hearts all over it. 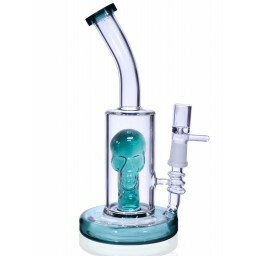 Has a really trippy mouthpiece and a hollow cylinder near the base. 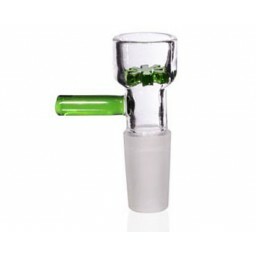 Blown with heavy, 5mm thick, high-quality Boro Glass. 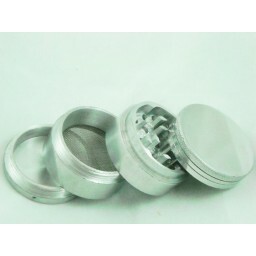 Includes a 14mm female joint and a 14mm male bowl with a donut handle. 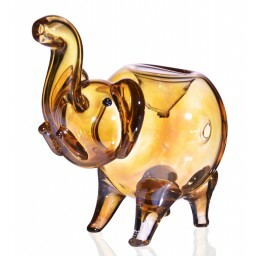 This is one of the most trippy and cool looking pipes out there. 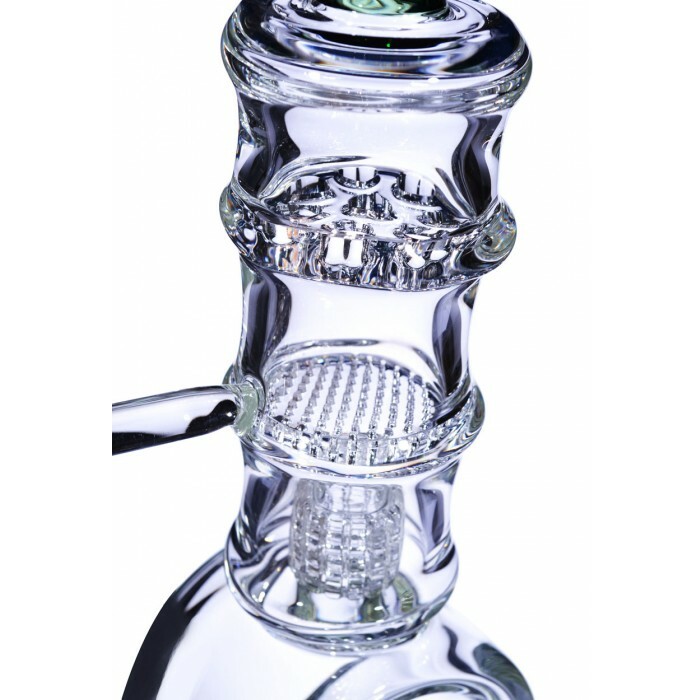 The design on this intricate water pipe has all sorts of cool features and badass percolator combinations that makes this a one-of-a-kind smoking experience. 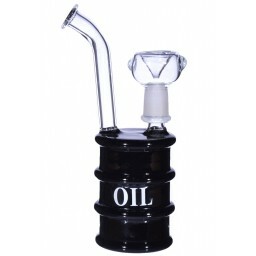 The trippy mouthpiece and the big mushroom ice catcher make this a standout in any collection, and the hollow recycler cylinder not only looks really cool but it’s also a perfect handle so you can have a sturdy, solid hold on this elaborate pipe while you sit back and puff away. 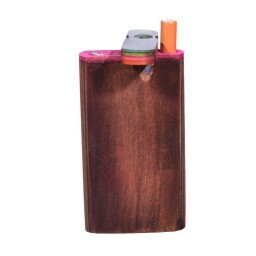 The percolator combination on this piece is incredible. 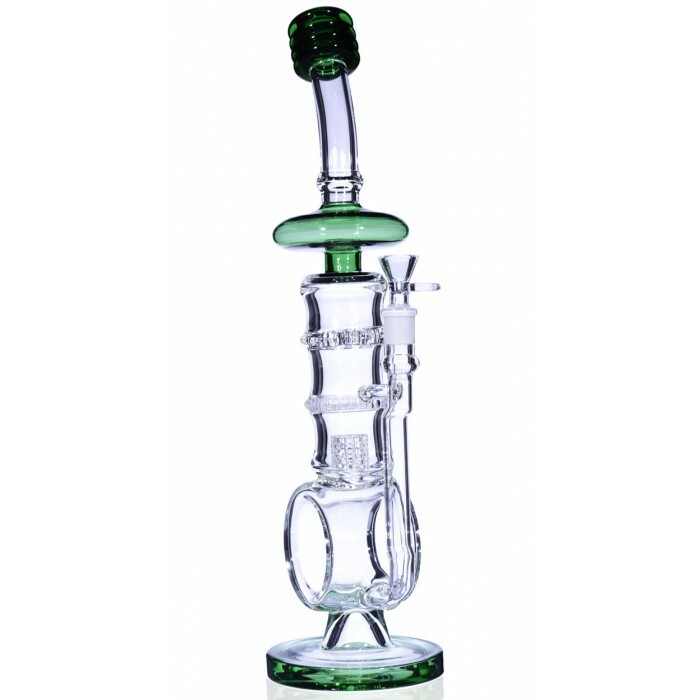 This piece has a big Showerhead Perc that also incorporates a Matrix Perc and a powerful Honeycomb Perc that even has a turbine blown in. The smoke first works its way through the Matrix Perc near the base of the pipe. This badass perc has a bunch of slits that really filter out and cool the smoke dramatically. 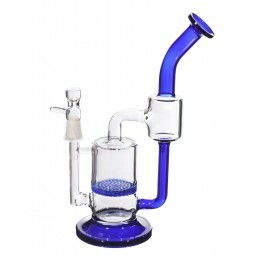 The water and smoke are then worked through the many holes in the Honeycomb Perc, which also happens to be reinforced with a recycler turbine that adds more filtering and cooling power. The splash guard keeps things tidy and clean up by the neck, for a cleaner and more enjoyable taste. 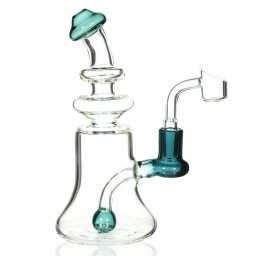 The large mushroom ice catcher gives the smoke one final cooling treatment before it makes its way into your lungs. 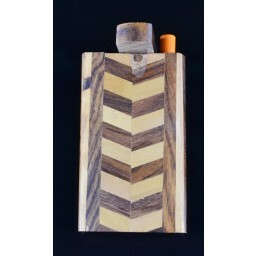 This is a one of a kind and revitalizing smoking experience! The base on this pipe is 4.5”, and it has a 14mm female joint and comes with a 14mm male bowl with a nice donut handle for easy packing.